Many graphical effects (including car shadows) are missing after patching the game. Version 1.0.0.1 works as intended. SecuROM 7 DRM, unknown machine limit. A De-Authorization Tool is available. Steam uses v1.0.0.1 of the game; Origin uses v1.1.2.1. Fixes the game's code to automatically detect available resolutions of the selected screen properly. Improves gamepad support by adding controller icons and fixing the left stick's deadzone. Patch 1.0.1.18 is the latest version. A patch for the Steam version is available here. Use NFS Undercover Generic Fix for unlisted resolutions. Use NFS Undercover Generic Fix. 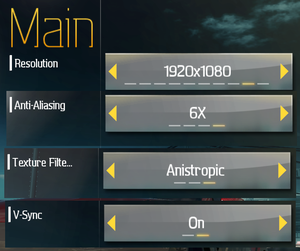 Only an 'Anisotropic' mode is available. Force in the graphics card control panel. 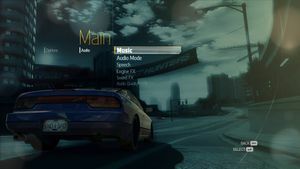 Download FOV fix by NFS Business. Alternative camera mods: close version and far version. 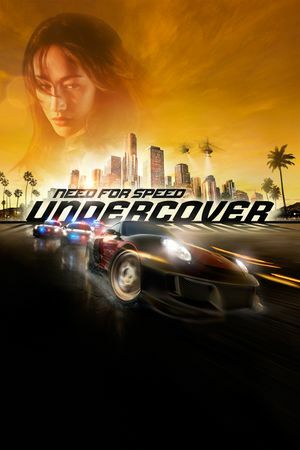 Install NFS Undercover Generic Fix. Change BloomIntensity = 1.0 to BloomIntensity = 0.0. Movements interpreted like a directional pad except on world map. Music, Speech, Sound Effects and Engine Effects. Only a 'Surround' option is available. In languages with subtitles, they are on by default and cannot be turned off. Download NFS Undercover Generic Fix. Deadzone can be adjusted in NFSUndercover.GenericFix.ini. Open <path-to-game>\d3d9.ini or %USERPROFILE%\Documents\My Mods\SpecialK\Profiles\nfs.exe\SpecialK.ini depending on the installation method you used. Origin key can be used during activation of retail version. Be aware that patch 1.0.18 introduces challenge series. You can have 2 copies of the game at the same time. Choose "Windows XP SP3" from menu "Run this program in compatibility mode for"
Game settings can constantly reset after restart of the game. 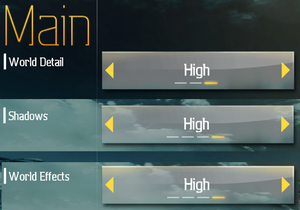 FPS boost on high details can be even more noticeable then applying specific game version. HD texture packs has been made by An7hraX and Dragozool. Both require texmod in order to work. 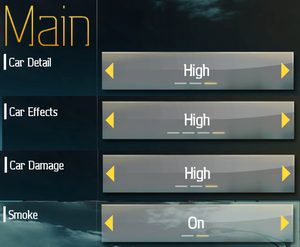 Changes: new responsive controls. Are flip turns necessary - Disabled the effect of yellow with SFX - Disabled the effect of trembling camera. - New texture of the sky. The saved effect of the dome, the sky now looks drawn. Now the reflections look more natural on all surfaces. - Fixed a glitch with the wheels, now tires have no Shine - Fixed the ground clearance on some cars - Changed some of the camera effects - Correctly built light source for daytime - Minor bug fixes. The mod makes all performance upgrades availible for free from the very beginning. To fix this, use FE_ATTRIB.bin from the original game (<gamedir>\GLOBAL\). The mod increases difficulty of the game making several missions nearly impossible to complete. There is no easy fix for that. If you are interested in visuals only, copy only modded InGameA.bun to <gamedir>\GLOBAL\ then use VltEd to apply this script. Makes changes to the streak effect, contrast, and bloom. ↑ 2.0 2.1 File/folder structure within this directory reflects the path(s) listed for Windows and/or Steam game data (use Wine regedit to access Windows registry paths). Games with Steam Cloud support may store data in ~/.steam/steam/userdata/<user-id>/17430/ in addition to or instead of this directory. The app ID (17430) may differ in some cases. Treat backslashes as forward slashes. See the glossary page for details. Verified by downloading and checking the details of the files.